Welcome to The Bellavista Hotel, situated above the picturesque tourist town of Cobh, Co. Cork in the south of Ireland. Here at The Bellavista Hotel we pride ourselves on offering a wide range of quality and luxurious accommodation to suit all needs. Choose from our range of Hotel Rooms, each decorated individually to make you feel all the comforts of home and relax in style. 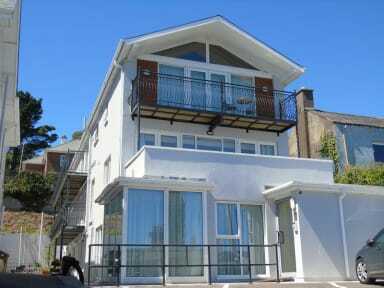 If you are looking for accommodation in Cobh, The Bellavista Hotel is the place for you. Situated above the town of Cobh, The Bellavista offers uninterrupted, panoramic views of Cork Harbour (the second largest natural harbour in the world) and Cobh Cathedral. We are a small hotel with just 16 bedrooms and 11 self-catering suites, but that gives our dedicated team the ability to put you at the centre of our attention during the course of your visit so you get a first class experience from booking to check out. While staying at the Bellavista Hotel you will enjoy comforts such as free off-street private parking, free wifi, 24 hour reception service, laundry service and an on-site bar and restaurant. All of our rooms are equipped with tea and coffee making facilities, 32 inch flat screen TV’s, DVD players, direct line to reception and plenty of pillows and towels. Our bar and restaurant are both based at the front of the hotel with panoramic views over Cork harbour and Cobh Cathedral. Our restaurant is an award winning Oriental restaurant with a great menu. 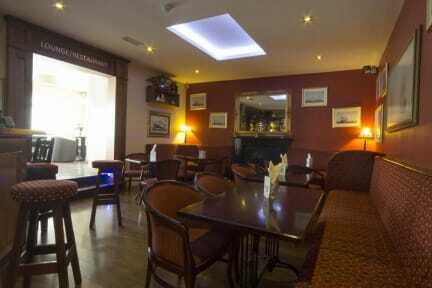 Our bar is a cosy traditional Irish bar with open fire and light background music. If you are looking for somewhere to stay when exploring East Cork this is the ideal place. While exploring you can enjoy many activities such as a round of golf at any of the nearby golf clubs (Cobh, Fota, Cork etc.) or sailing in Cobh Harbour. You can also enjoy a pint in one of the many colourful pubs around the tourist town or view the local fauna at Fota Wildlife Park along with some not so local animals. Each year many cruise liners anchor ship in the town of Cobh and bring with them anywhere between 3,000 and 5,000 passengers. The Bellavista hotel is the ideal spot to sit and relax with a refreshing drink and watch the cruise liners passing below you before docking in the town centre. The Bellavista Hotel is also the last stop on the Cobh heritage tourist trail. Cobh is just a 20 minute drive from Cork city with its international airport and ferry port. Cobh is also connected to Cork City via train. Along with being just 20 minutes from Irelands 2nd City Cobh is just 30 minutes from the tourist towns of Kinsale and Youghal so there is plenty of places to visit while staying at the Bellavista. Cobh is a picturesque harbour town with a long and respected maritime history dating from the 17th century, with links to the Titanic, the Lusitania and the 1st and 2nd world wars. Single occupancy rooms are double rooms for single occupancy so they have a double bed in them, a surcharge will be added if a second person joins this room.